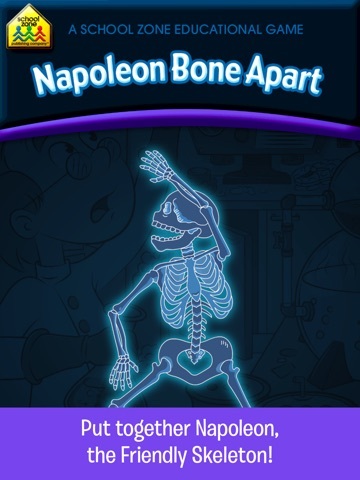 Despite its name, Napoleon Bone Apart has nothing to do with the French Revolution. 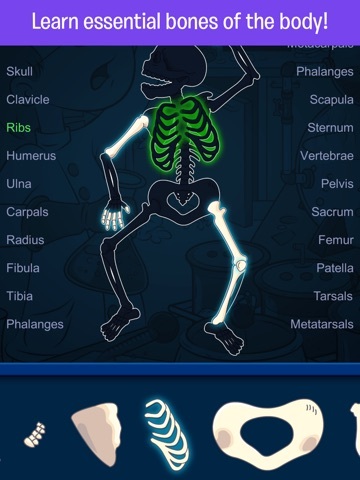 Instead, it’s a simple, but fun app designed to teach kids about the skeletal system. While the skeleton looks a bit too large to be that of the well-known, but petite, Napoleon Boneaparte, we still appreciate the clever play on words in the title. What we appreciate even more is the way kids can drag and drop the bones onto the skeleton and learn the names of some of the major parts of their bodies. Kids pretty much go straight into the activity when they open the app. After hitting play, an on-screen guide shows them what to do and they can immediately set about doing it. If kids forget what to do, they can simply tap the help button to get a refresher. 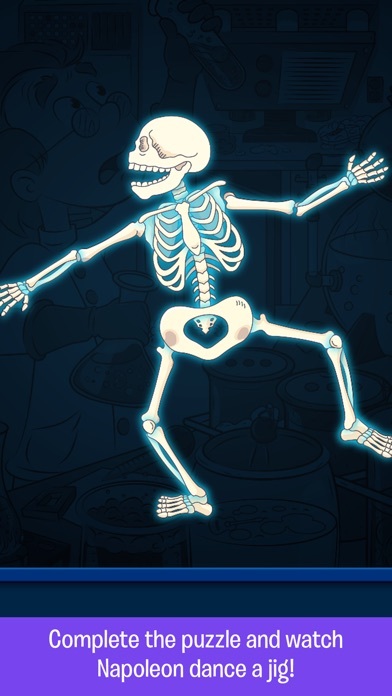 The app features a simple drag-and-drop platform where kids drag the bones from a bank at the bottom of the screen onto the skeleton. 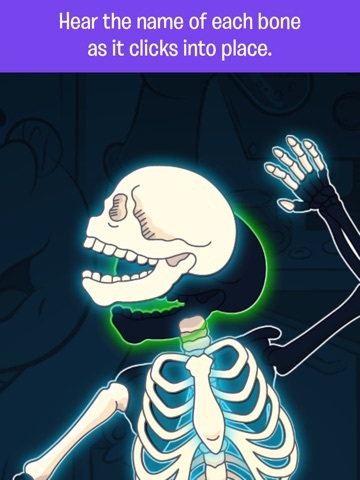 The bone’s location is highlighted to make it easy for kids to place. Unfortunately, many of the bones are skinny and small, so it can be a bit tricky to grasp them and drag them to the right spot. Once kids get ahold of them, though, the process runs pretty smoothly. When kids select a bone, they hear its name. 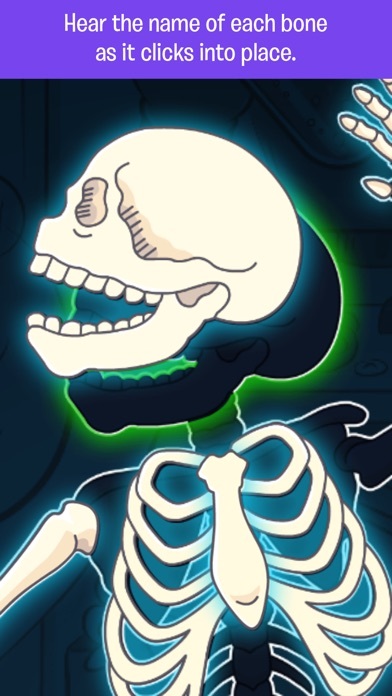 Once they’ve placed the bone, its name appears on the screen and the name of the bone is repeated twice. The repetition helps cement the names of the bones in kids’ memories. 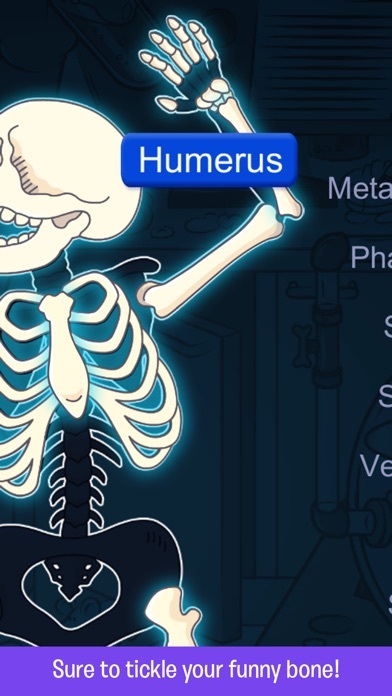 In the settings section kids can also turn on labels which displays all the names of the bones on the sides of the screen. 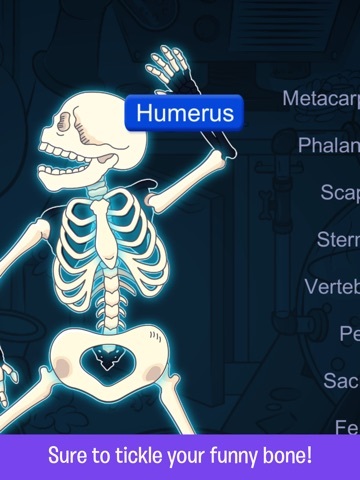 While this doesn’t seem to be an extremely useful feature, it does offer one more way to help the names of the bones stick in kids’ minds. The simple nature of the app makes it ideal for a range of ages and grade-levels. Even a kindergartener can place the bones and begin to understand where they’re located on their own body. There’s not much in the way of extra entertainment value in this simple app. 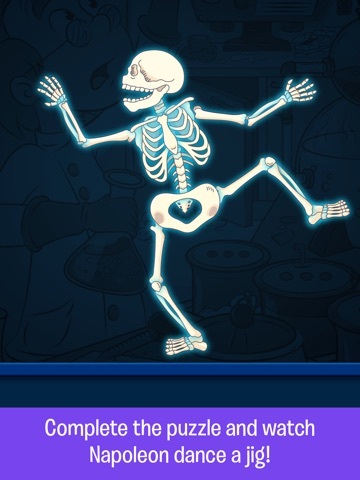 Once kids correctly place all of the bones, they’re rewarded with a hearty congratulations, and then they get to watch the skeleton dance. Then the bones reset and they get to do it all again. 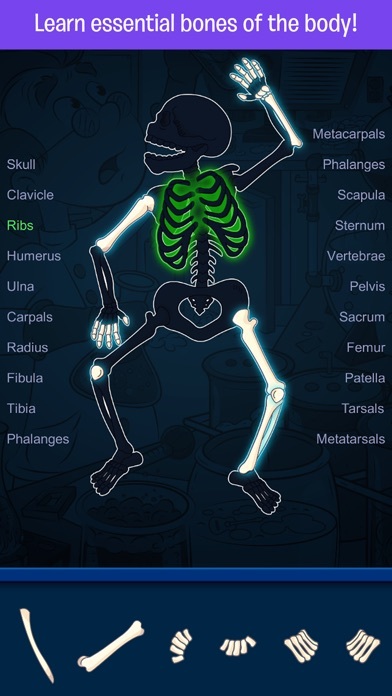 For the price, kids get a decent introduction to the skeletal system with the names of all of the bones clearly highlighted. Since the game resets after kids complete it, they also get the chance to practice placing the bones as many times as they want. While the parental gate that restricts access to the parent info section could be strengthened a bit, the app itself is fairly child-friendly. 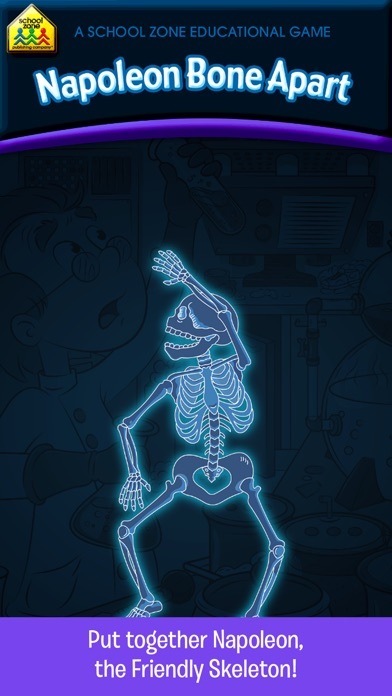 However, parents should note that some younger kids may be scared by the bright white skeleton on a black background, particularly when it starts to dance.